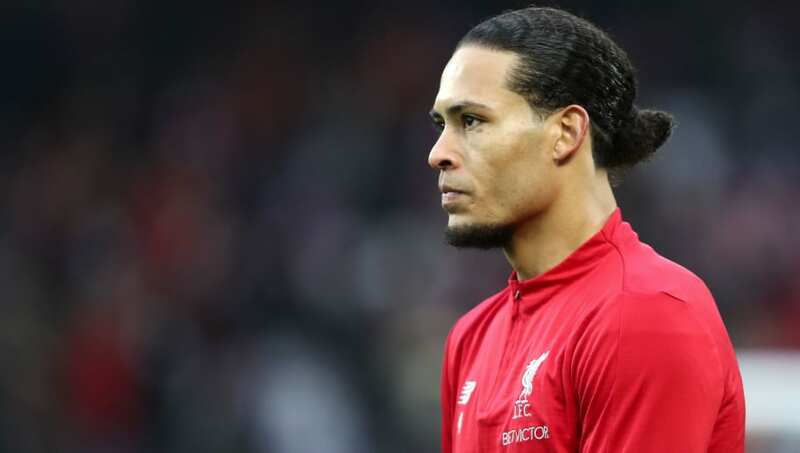 ​Liverpool fans may have been happy to see their team score three against Bournemouth, but weren't as pleased that Virgil van Dijk didn't get on the scoresheet, voicing their frustrations on social media. Liverpool comfortably dispatched Bournemouth 3-0 at Anfield thanks to goals from Sadio Mane, Georginio Wijnaldum and Mohamed Salah. Instead of seeing the game out, Van Dijk went on a run up the pitch at the 87th minute and was in the striker's position along with ​Roberto Firmino as Liverpool broke on the counter. As the Brazilian bared down on goal he had two options, either shoot or lay it off the open Van Dijk - he decided to go alone in favour of passing to the Dutchman. Van Dijk was left visibly frustrated that he wasn't gifted a glorious chance to get a rare goal while still keeping a clean sheet at the other end. That was Selfish by Firmino,Van Dijk was all alone. Van Dijk has only scored twice in his Liverpool career and he might not get a better chance for a while. Despite the Dutchman not getting the icing on the cake, the win meant that Liverpool regained top spot with the victory as Jurgen Klopp's men leapfrogged ​Manchester City with their comfortable win. ​Liverpool have a break of play from ​Premier League action as the Reds play in the Champions League next against German champions Bayern Munich.